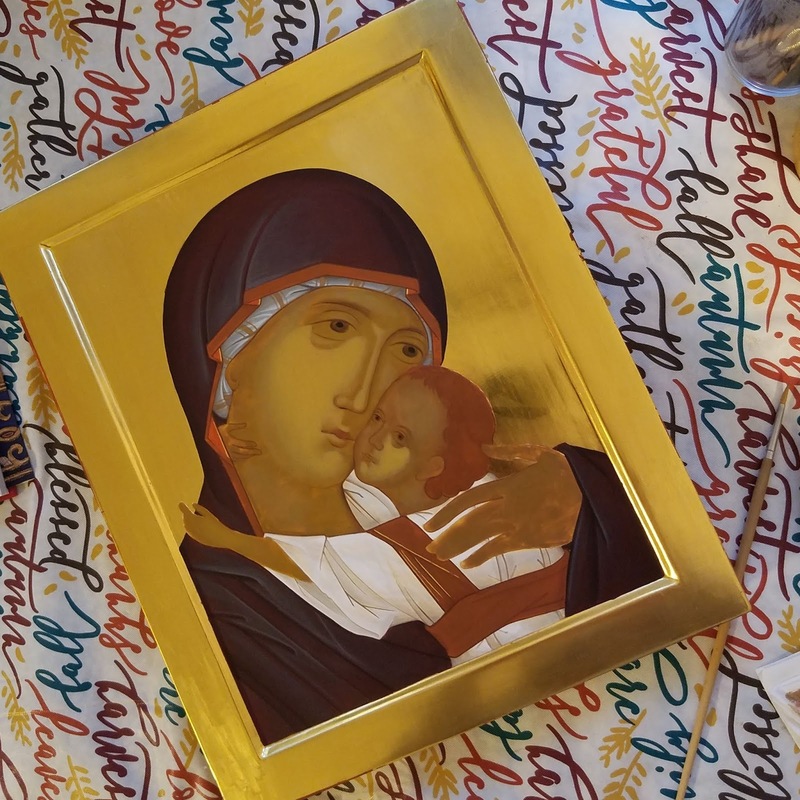 Our friend, Mirona, has been hard at work on an icon of the Mother of God for our parish. It has been wonderful to watch her daughter (my goddaughter!) so that she can work! 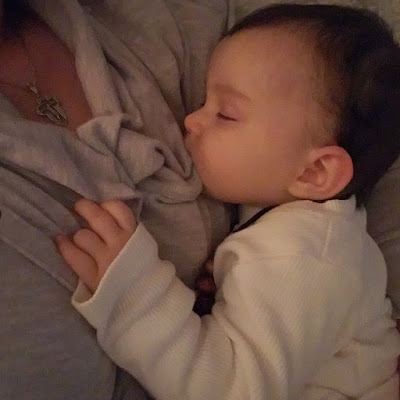 It's a win-win for me: baby cuddles and the pleasure of seeing this beautiful icon emerge. Thank you, Mirona! !